Qualifying Friday March 11th 6 - 10pm and Saturday March 12th from 11am - 3:30pm. There will be 5 Pinball games used for qualifying. All entrants will be provided 8 chances for $20 to put up their best score on 5 games. Each game costs $.75 and must be played at least once but players may use their additional chances on any game as they wish and as time allows. Qualifying will end at exactly 3:30pm Saturday. Any player not actively playing a game at that time will not be allowed to play any further attempts. Top 16 qualifiers will be in the A bracket. 17-24 position qualifiers will be in the B bracket. 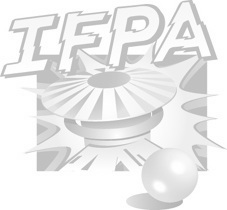 ANY player currently ranked 500th or higher in IFPA overall rankings is not eligible to play in the B bracket. In the event that a player ranked in the IFPA/WPPR overall top 500 is automatically eliminated from the B playoff bracket, that position will be backfilled with the next eligible player. Final reporting for the eliminated party will be frozen in their final qualifying position as to not have a negative impact on them aside from B bracket exclusion. A and B Division - 4 player groups and each round is a 3 game single elimination format.. Games are preselected and different for each of the 3 rounds. Points are awarded on each game based on finishing position (7, 5, 3, 1). Top 2 Players continue on, and bottom 2 Players are eliminated. Highest seed selects player order for first game of each round. Winner of game selects player order for subsequent game. If cumulative scores after 3 games result in a tie to determine those continuing or eliminated, the impacted players will play a 1 ball game on the last game played in the 3rd round. 5 games for qualifying (TGP = 5). Playoffs are 4 rounds of play. Rounds 1,2 and 3 will be 3 four player games (TGP of 6 = 18). In Round 4, the top two Players play heads up best 3 out of 5 (TGP = 3). 4 player games are 2x value under new system so each round of playoff counts as 6 TGP. TGP or significant games = 26 (5 qualifying plus 21 A bracket playoff) = 100% of base value. See www.waunapinball.com for more details and registration information.